Bring your own bike. one bike per person. suitable for age 11 upwards. children under 16 must be supervised by and adult. 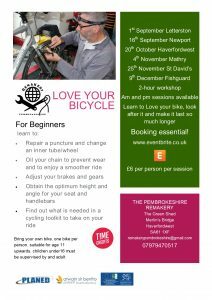 Please bring spare parts if there is something specific that needs repairing on your bicycle.